The telescope is an instrument that allows us to see the distant objects closer. We can view objects that are far beyond the range of our eyes. This instrument had opened the new door for us to study the space from the Earth and changed our understanding of the universe. With the help of a telescope, it was proved that the Earth revolves around the Sun and the old geocentric concept was dropped. Telescope is one of the instruments that was not invented by a scientist. Instead, it was invented by a Dutch eyeglass maker Hans Lippershey. While working with lenses. He brought two lenses in front of each other and found that distant objects were seen closer through them. 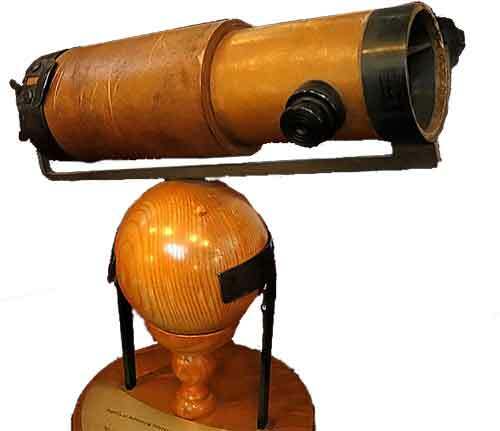 Then he fitted two lenses (a convex and a concave) in a tube and made the first working telescope. His telescope magnified the distant objects about 3 times. He had applied for the patent but officials said to him that this instrument is too simple to copy, and they didn’t issue the patent. A great scientist Galileo Galilei when heard about this new invention. He started to build his own telescope, without ever watching the Dutchman’s instrument. 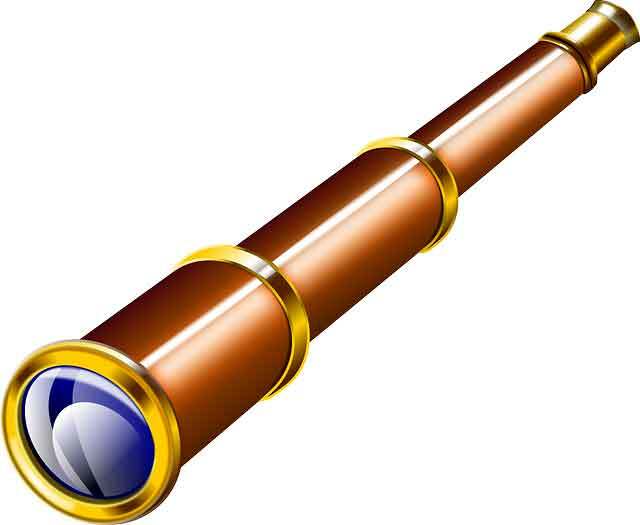 He made an improved version of the telescope which magnified the distant object 8 times. With further improvements, he made another telescope with a power of 20. He turned his telescope to the sky and watched the planets, and their moons. He proved that the Earth and all planets in solar system revolve around the Sun. Galileo continued to improve his telescopes and made one with the power of 100, which helped him to study the sky further. There was a limit in further increasing the magnification of telescope because it decreased the field of view, combined with spherical and chromatic aberration. So, there was need of completely new kind of telescope that can eliminate these problems. Isaac Newton found that the telescopic effect can also be obtained using the mirrors instead of lenses, and he made the first reflecting telescope. These telescopes were called reflecting telescopes or Newtonian telescopes because they used the reflecting power of the mirror to reflect and focus the light. Using mirrors greatly increased the power of telescopes. All the new powerful telescopes were built using the reflecting mirrors and lenses were used in smaller telescopes. Again the restriction arrived in the further development of the telescope. 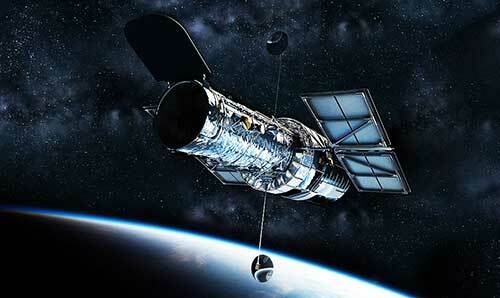 No matter how much powerful a telescope is, it never gave the clear view of the sky because of the atmosphere. Our atmosphere is filled with a lot of dust and moisture that absorb the light coming from space causing the blurred view of telescopes. For this reason, scientist always dreamed about a telescope that could be brought to space. The Breakthrough came in the 20th century when scientists sent the first telescope Known as “Hubble Space Telescope” into space in the year 1990. This telescope orbits 600 km above the Earth. With this new telescope, scientists discovered a lot of new galaxies. They acquired a deep understanding of the universe that was not imagined before it. Abdul Wahab, "Telescope," in Science4Fun, April 13, 2019, http://science4fun.info/invention-of-the-telescope/.